Dons defender Ash Taylor has silenced his critics and earned the trust of his manager after a series of impressive displays. The 26-year-old was left on the bench for three games in a row following the December 3 2-1 defeat by Rangers at Ibrox with Irishman Anthony O’Connor taking his place. But Taylor has not looked back since returning to the team for the 3-1 victory at Motherwell on December 23, playing every minute in the Dons’ recent run of nine wins from 10 games. 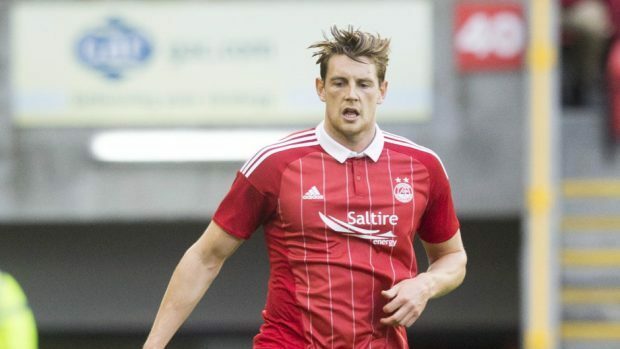 The former Wales under-21 international has not been without his detractors during his time at Pittodrie but manager Derek McInnes believes the defender, who is out of contract at the end of the season, deserves credit for the way he has regained his place in the team. He said: “Ash has been outstanding. He has played a big part in our winning run. “Some players are appreciated more than others and then there are some you appreciate more when they are not in the team. “Ash wins 95% of his headers in both boxes and when he is not there we don’t have that same dominance at times. “We have different options at centre back but when Ash is playing as well, as he is, and showing his full potential, then he is a very important player for us. “That said, I still think there is more to come from him. He is still relatively young and those perfect performances are not far away. The Dons host Ross County at Pittodrie on Saturday, only a fortnight after defeating Jim McIntyre’s side 1-0 in Dingwall to earn a place in the last eight of the Scottish Cup. The teams met at Victoria Park in the league in December when the Staggies ran out 2-1 winners but McInnes does not believe a third meeting between the teams in such quick succession will have any major impact in the next meeting. He added: “We can probably second guess how each other is going to play on Saturday. “In terms of personnel, Jim has a few options and he has changed one or two things at different times over the last few weeks but we have an idea how they will line up. “I always think we can keep learning and analysing opposition even when we have played them twice in the last number of weeks and there are always different things we can pick up on.